Very Good. Sewn binding. Cloth over boards. With dust jacket. 167 p. Contains: Illustrations, black & white. 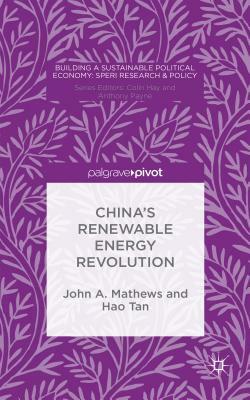 Building a Sustainable Political Economy: Speri Research & P. The authors suggest that China's renewable energy system, the largest in the world, will quickly supersede the black energy system that has powered the country's rapid rise as workshop of the world and for reasons that have more to do with fixing environmental pollution and enhancing energy security than with curbing carbon emissions. New. Sewn binding. Cloth over boards. With dust jacket. 167 p. Contains: Illustrations, black & white. Building a Sustainable Political Economy: Speri Research & P.